Nearly 50 past New England Golden Gloves boxers turned out last night for the inaugural USA Boxing Alumni Association meet-and-greet in a private room, prior to the opening bout of the New England Tournament of Champions, at historic Lowell Memorial Auditorium in Lowell, Massachusetts. 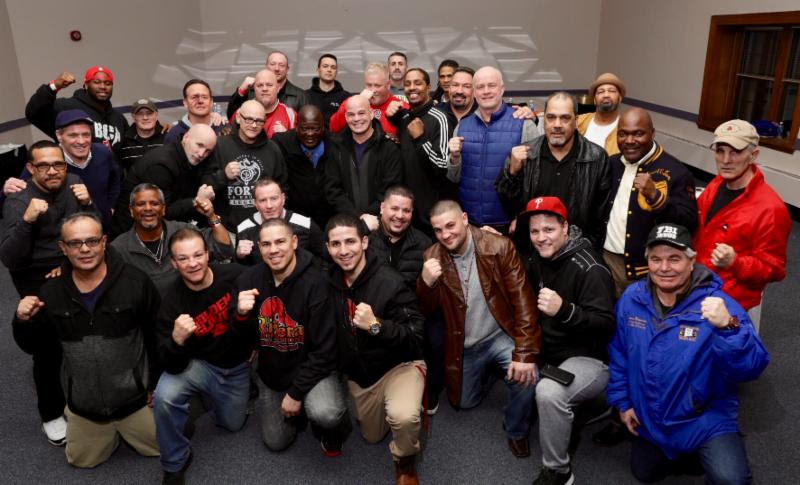 The USA Boxing Alumni Association gathering was also to promote the 2018 USA vs. Ireland Northeast Boxing Tour, which kicks-off Monday, March 12, at Royale Entertainment Complex in Boston’s famed theater district. The USA vs. Ireland Northeast Boxing Tour will continue March 15 at the MassMutual Center in Springfield, Mass. and concludes March 21 at The Manchester Downtown Hotel in Manchester, New Hampshire.